When a relationship breaks down, individuals and families are often left trying to resolve complex situations involving finances, property and children. In order to help resolve these issues it is essential that there is a clear understanding of the legal situation and that the parties involved fully understand their rights and responsibilities. A solicitor can help them consider all of the issues that need to be addressed, explain the various options available to them and also provide them with direction and certainty for the future. At LGP Solicitors we provide clear and constructive advice on the options available to our clients. We work closely with them to find solutions and to resolve disputes that might arise in relation to the finances, the arrangements with the children and other aspects of a relationship breakdown. 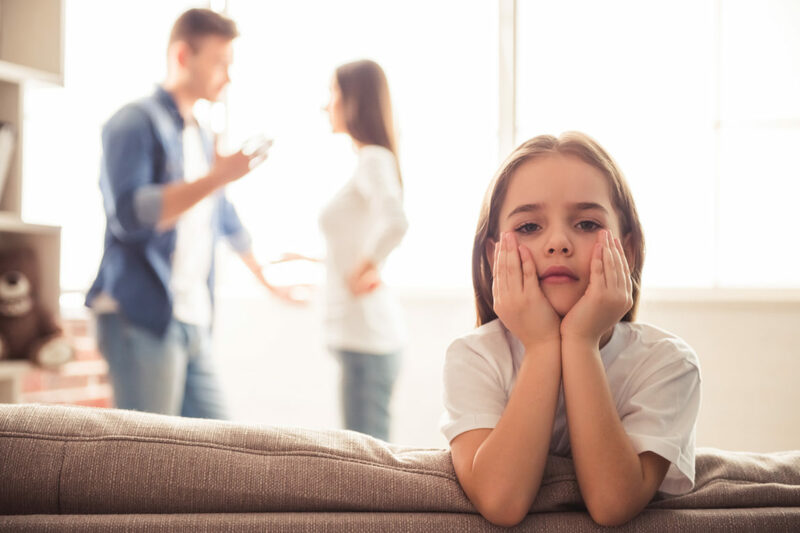 LGP Solicitors try to avoid lengthy confrontations which can have a destructive and damaging consequence on the family as a whole, while always acting in the best interests of our client to ensure that a fair and positive outcome is reached. Your solicitor will be able to guide you through the divorce process and will provide you with information in relation to the grounds for the divorce; how to prove that the marriage is irretrievably broken down and what obstacles might need to be addressed in terms of the divorce itself. We aim to help you deal with the divorce in a manner as cost effective as possible, whilst looking to secure the best solution. Each individual’s set of circumstances need to be taken into account to ensure that the marriage can be brought to an end satisfactorily without increasing conflict at a potentially difficult time. The financial settlement that needs to be reached pursuant to a separation is often one of the most difficult areas to navigate. A well thought-through financial settlement is essential for your future and also for the future of the family as a whole. A good family solicitor will look at all aspects of the financial settlement, including how all assets should be divided (including pensions and capital assets) and also what ongoing financial arrangements need to be put in place in terms of maintenance. Your solicitor will also be able to advise you in relation to potential business interests and other assets, including any inheritance that has been received or interests that were derived prior to the relationship, or after the relationship came to an end. Through skilled negotiation and by aiming for a settlement that is realistic, fair and sustainable, LGP will try to avoid the Court wherever appropriate, but can support you through the Court process if an agreement cannot be reached. The arrangements in relation to the children can be complex and there are often disagreements as to where the children should live and the amount of time that they should spend with both parents. We can help in considering the arrangements for the children and also have extensive experience in supporting other family members including grandparents, step-grandparents and alternative families who might want to arrange or improve contact that is already in place. We also offer advice in relation to specific issues that might arise; we have considerable experience in applications concerning one parent moving away and how this might be addressed where there are children involved. Other potential issues could include concerns where it is thought that a child might be at risk of harm, or when a party wants to stop a specific course of action such as the child being taken out of the deriving from the mental health difficulties, or drug and alcohol addiction, of one parent; and where there are concerns involving allegations of physical or sexual abuse that need to be addressed. Difficulties often arise in relation to parentage and again this is something that we can provide legal advice and support on, ensuring that parentage is correctly identified and that action can be taken if this is not the case. Pre-marital agreements are becoming increasingly common and the law has changed significantly in the last five years in relation to the enforceability of a pre-marital agreement or co-habitation agreement. We can advise you on this rapidly changing area of law and help you reach an agreement that will help protect all parties involved, including the children, if a relationship were to break down. The situation in relation to a cohabiting couple is different from that for a couple who were previously married; there is often a misconception as to how cohabitees are to be treated. We understand the different areas of law that are involved when cohabiting couples separate, and can guide you through this complex field to ensure that you and any children are protected from a financial point of view. In a familial relationship breakdown the individuals involved need to consider the most appropriate way forward. This might involve legal advice and might require Court involvement to help guide you through the process; however, this is not always the solution that suits you or that is likely to produce the best outcome. LGP employs solicitor-mediators who can help you to constructively and cost-effectively reach agreements about the arrangements regarding the children, finance and property without the need for Court involvement and often with less input from solicitors. By ensuring that you have a solicitor-mediator, you will benefit from legal information that can be provided and ensure that you have a proposal that covers all aspects that should be taken into account. Working together through mediation with the help of a good mediator will help you to move towards restoring a functional relationship between those involved. Research shows this produces better outcomes for the family as a whole. LGP solicitors have experience of making emergency applications either to protect vulnerable family members or to preserve assets that might be at risk of being moved beyond a person’s reach. We can apply for non-molestation orders or occupation order to protect vulnerable family members. We can also direct you to other third parties who will provide you with the emotional support and practical support to help protect you and deal with matters on an ongoing basis. In terms of financial protection, we have experience in obtaining injunctions to ensure that funds cannot be moved out of jurisdiction or simply out of reach (which might be required in certain circumstances). We can also advise you as to when making such applications would not be appropriate. Increasingly, relationship and family breakdowns involve an international aspect. This might be as a result of one or both parties originating from another country or might simply be because assets are owned out of the country or parties live or work overseas. We have acted in divorce proceedings involving international legal issues in relation to divorce proceedings, and know how to optimise the financial settlements that can be reached as a result of the divorce proceedings. We can also work with you in relation to the arrangements with the children when there is a foreign element to the family. We have experience in child abduction cases and we also have extensive knowledge in relation to one party requesting that they be allowed to move abroad with the children.